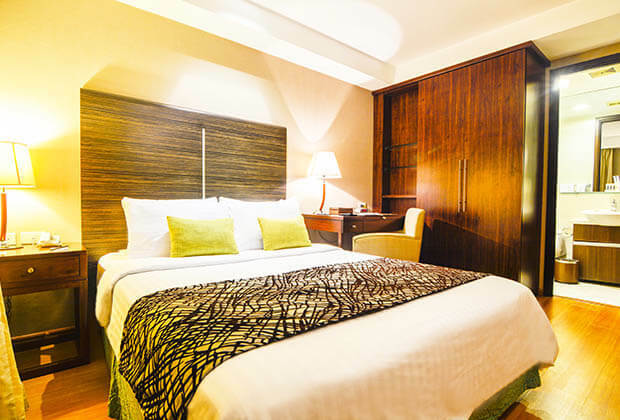 With all the hustle and bustle of city life, The A.Venue Hotel presents that ideal cosmopolitan accommodation. 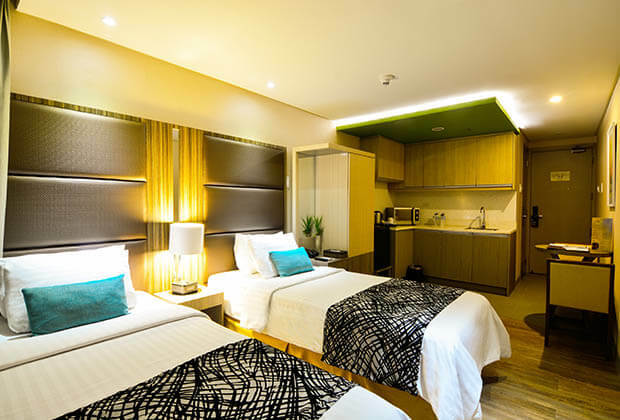 Makati City highlights the spark and excitement of living a balanced lifestyle. 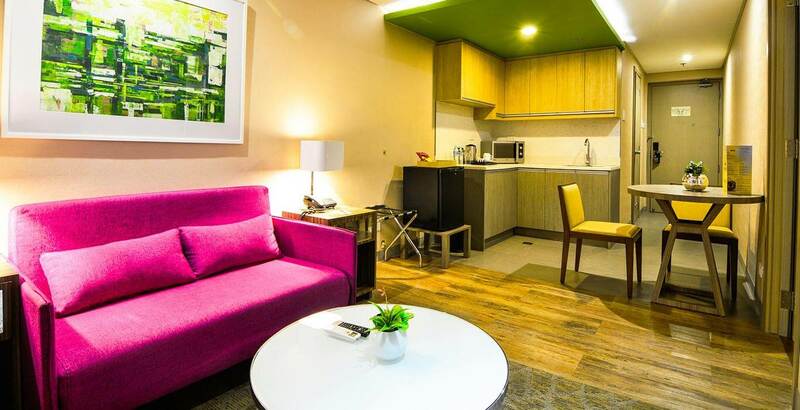 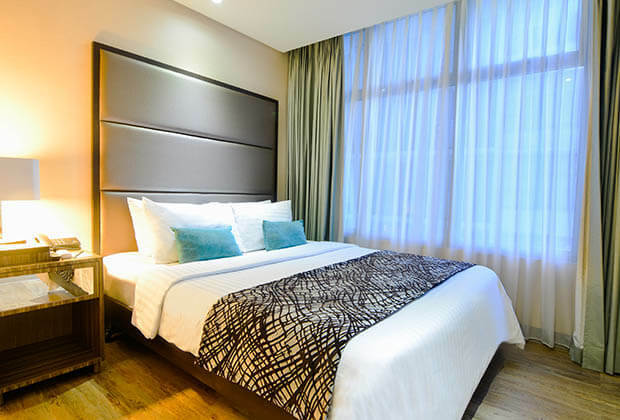 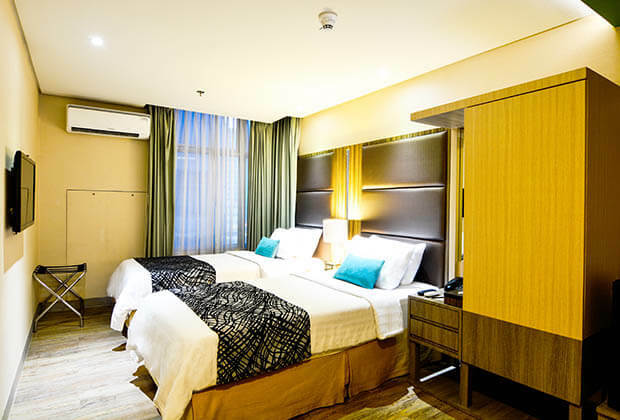 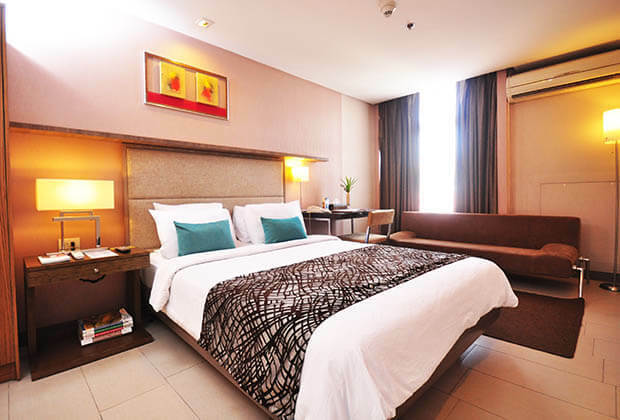 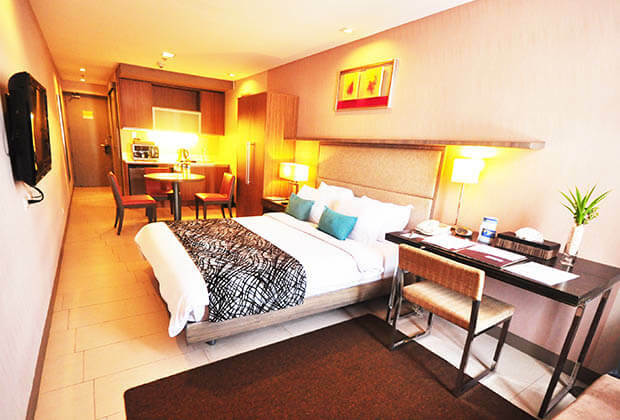 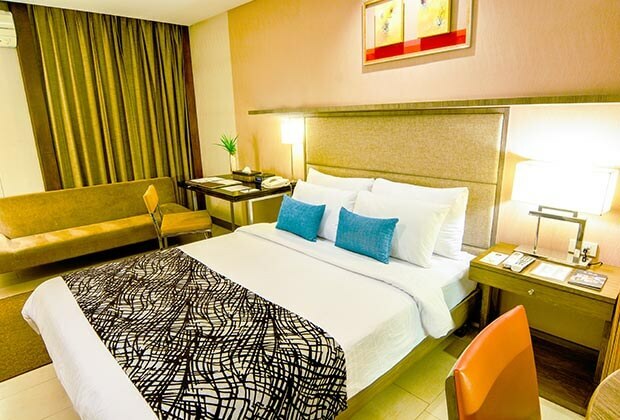 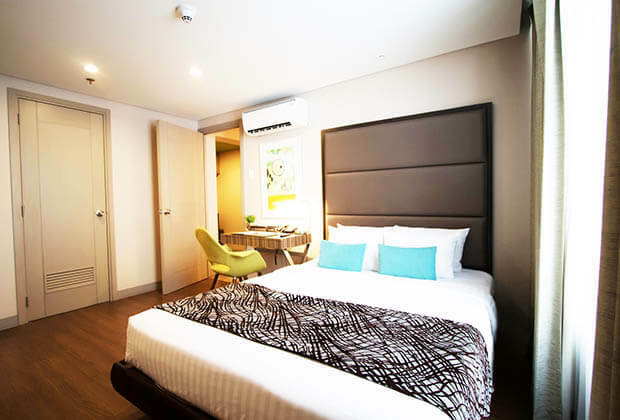 Our well-appointed and artistic accommodation in Makati City will keep your stay pleasant and comforting. 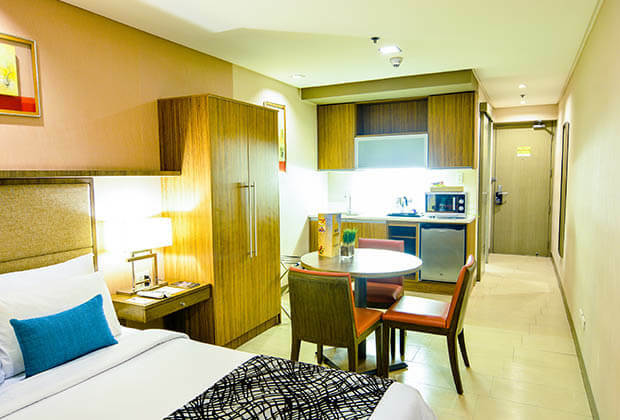 Stay in the comfort of our unique and colorful interiors that brings a balanced and harmonious vibe to your stay. 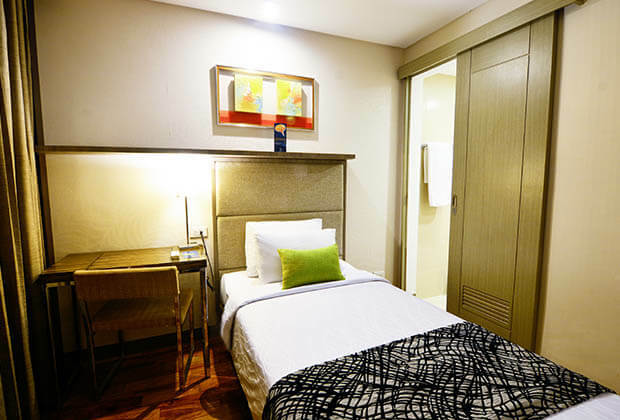 This studio unit is equipped with a queen-sized bed with a mini dining area and a kitchenette. 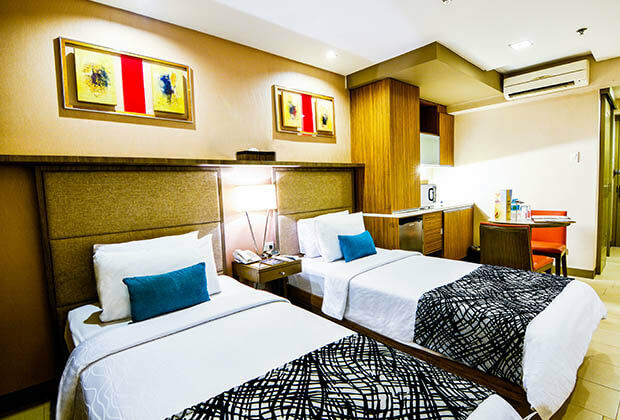 Among the vibrant colors of the room, majority of our Studio Deluxe rooms are equipped with double beds and a dining area. 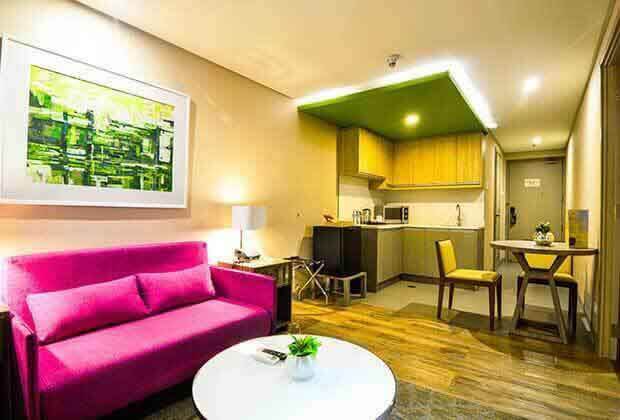 Live the suite life in our sleek and stylish one-bedroom suite that are styled with some playful colors. 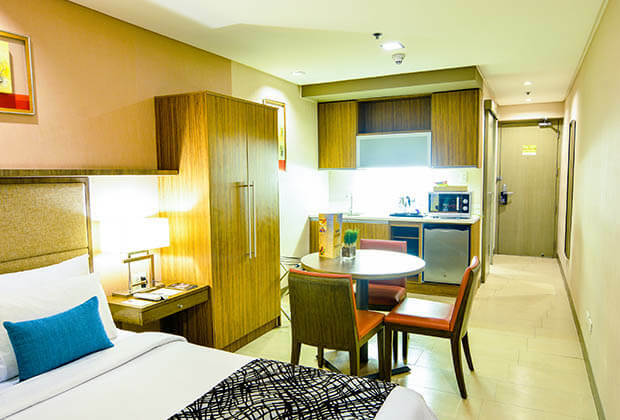 Equipped with kitchen facilities, dining area, and a living room where everyone can get together for some quality time. 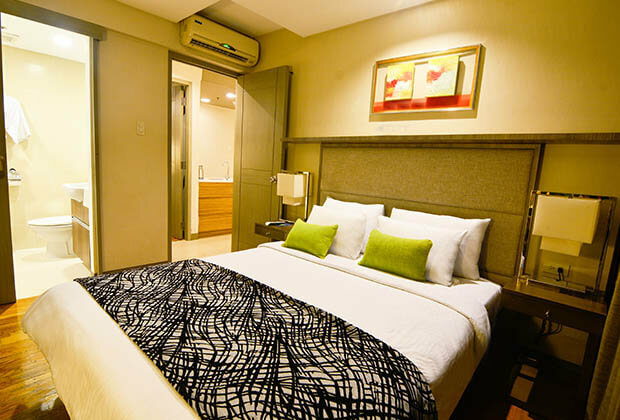 For a more earthy tone, our homey and two-bedroom suite with one bathtub is complete with the ideal home amenities you look for. 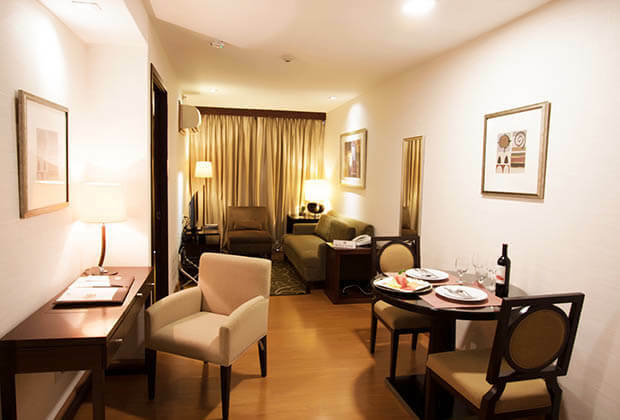 This room is also equipped with a work desk and other room amenities.